Telugu film industry is one of the biggest hubs of the great films in India. Tollywood also produces movies more than any other industry in India. Over the past few decades, Telugu film industry has given us some of the most magnificent movies that India has ever seen. Moreover, Tollywood holds the Guinness World Record for the largest film production facility in the world. If you are looking for best Telugu movies to watch over the weekend, we are here to help you. We have listed down some of the best Telugu movies that are loved by the audiences from all over the India. One more astonishing fact is that Telugu film industry produces more movies than Bollywood. We have picked the top 10 best Telugu movies that have released till now. Let’s have a look at these Tollywood flicks. Baahubali: The Beginning is an Indian epic historical fiction movie directed by the famous director of Telugu movies S. S. Rajamouli. The movie stars Prabhas, Rana Daggubati, Tamannaah and Anushka Shetty in lead roles. The movie is the highest grossing Telugu movie of all time. The film’s second part is yet to release next year. In a short period of time, it has become one of the best Telugu movies of all time. Mayabazar is the oldest Telugu movie on this list and it is an epic fantasy film. The movie was also released in Tamil with the same title. 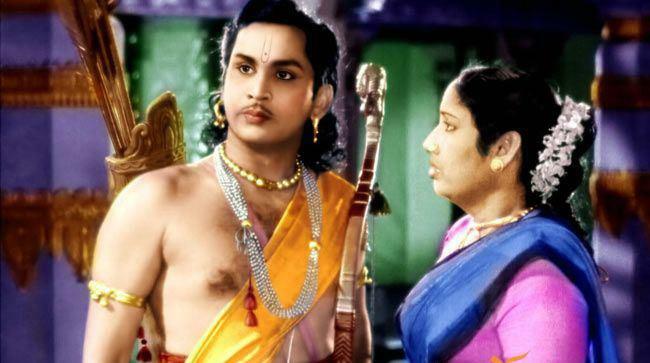 Mayabazar also became the first Telugu film to be digitally colourized in 2010. The film is considered a landmark in the South Indian film industry for its cast and technical aspects. Attarintiki Daredi is a Telugu action drama movie starring Pawan Kalyan, Samantha Ruth Prabhu and Pranitha Subhash in the lead roles. 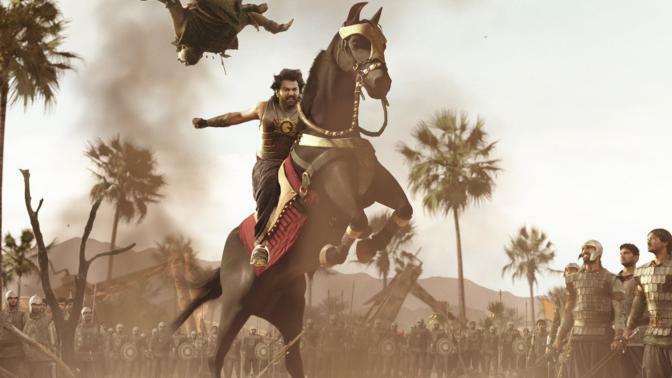 The movie was the highest grossing Telugu movie of all time until it was surpassed by Baahubali: The Beginning in 2015. It also won numerous awards including Filmfare awards. Also, the movie was praised for its storyline and acting by famous critics. Yet another magnificent movie from director S. S. Rajamouli, Magadheera is a Telugu romantic action film starring Ram Charan and Kajal Aggarwal in lead roles. It’s the longest running South Indian movie of all time. The film was praised for its special effects and it also won various awards for the same. The movie was dubbed into Tamil, Malayalam and was remade in Bengali. Gharana Mogudu is a 1992 Telugu action movie directed by K.Raghavendra Rao, starring Chiranjeevi and Nagma in the lead roles. The movie became the first South Indian movie to gross 100 million rupees at the box office. Although the movie is an adaption of the Kannada movie, Anuraga Aralithu but it became a bigger hit than the original. Dookudu is a Telugu action comedy movie directed by Srinu Vaitla, starring Mahesh Babu and Samantha Ruth Prabhu. The film was quoted as “The biggest hit you’ve never heard of” by The Los Angeles Times. Citing his commercial success in Tollywood, the film was dubbed into Tamil, Malayalam and Hindi. Siva is a Telugu crime drama movie starring Akkineni Nagarjuna, Amala and Raghuvaran in lead roles. It was written and directed by Ram Gopal Verma in his directorial debut. Siva was both a critical and a commercial success. Undoubtedly, it is one of the best Telugu movies of all time. Siva gained a cult status over the years and is considered as a breakthrough film of Nagarjuna. 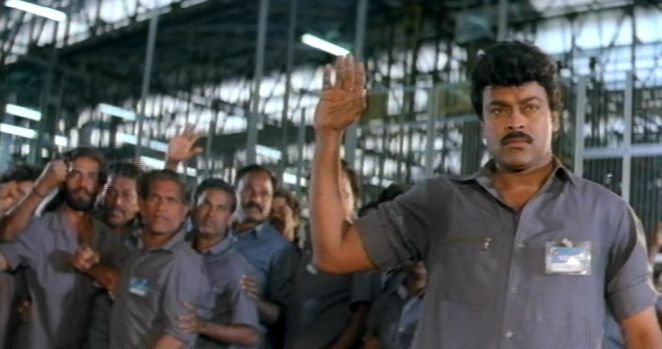 Don’t miss: Top 10 Best South Indian Movies of all time. Race Gurram is a Telugu action comedy movie starring Allu Arjun and Shruti Haasan in the lead roles. It was directed by Surender Reddy. The movie became the highest grossing movie of 2014 and the fifth highest-grossing Telugu film of all time. Race Gurram was also dubbed in Malayalam and Hindi. Do watch the movie for the sizzling chemistry of the leading duo. Gabbar Singh is a Telugu action drama film directed by Harish Shankar, starring Pawan Kalyan and Shruti Hassan in lead roles. The movie is inspired by the Bollywood superhit movie Dabangg. The film became such a big hit that it went on to become one of the highest-grossing Telugu movies of all time. 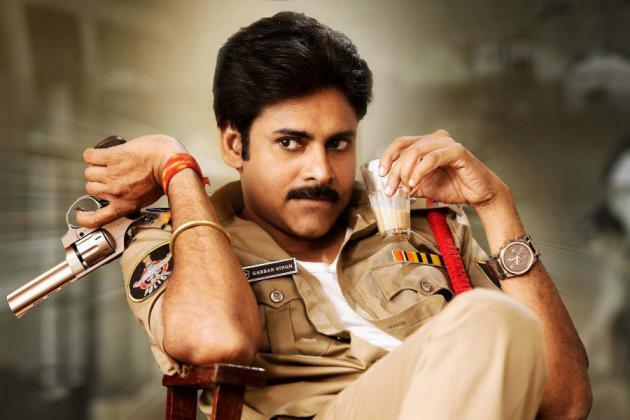 Moreover, a sequel to the movie named Sardaar Gabbar Singh was released earlier this year. The last movie on this list of top 10 best Telugu movies is Srimanthudu which is written and directed by Koratala Siva. The movie stars none other than the charming duo of Mahesh Babu and Shruti Hassan. The movie got appreciation from the critics and was a blockbuster at the box office making it one of the highest-grossing movies in Tollywood. Related: Top 10 Best Tamil Movies Of All Time. If you liked this post of top 10 best Telugu movies of all time, then share it with your friends and family. Also, if you want to suggest any of your favourite Telugu movies, do let us know in the comment section below.